At gap’s 2016 kick off in January, our theme was transparency. This means that over the last year, we have been focusing on increasing transparency both internally and externally. In line with our annual theme, gappers attended a talk last Friday by speaker and author Simon Sinek hosted by a local organization called Creative Mornings. Sinek started his speech that morning by addressing the "millenial problem." While there is no set end point for what characterizes a millennial, anyone born in the mid-1980s is generally granted this new generational title. Millenials have been brought up in a culture molded by technology and social media. It is generalized that with these differences comes a lack of understanding and perhaps an overall listlesness when it comes to millennials. Sinek proposed to millennials and non-millennials alike that to build transparent relationships between millennials, there must be empathy. In order to progress and build a future we're proud of, leaders and managers of today must seek to understand this population of young people entering and filling our workforce. In Sinek's opinion, empathy, engagment, and helping others fosters transparency and ultimately promotes growth. He argued that self-advancement, not comparison, is what truly results in joy. Comparing your life to the ones we see on Instagram and Facebook are not the paths living a fulfilling and happy life. gap is lucky enough to be home to many millennials, and as a company we aim to foster both personal and professional development. We do this not to stay "hip" with business trends, but passion and caring about what we do is exactly what this company was built on. One example of how gap strives to achieve this happens every week for at least thirty minutes, when practically everyone here meets one on one with their respective managers. These one on ones provide us with the opportunity to communicate our needs and build an ever greater sense of transparency and community, and we get to know and understand the people we work with on a more personal level. By encouraging transparency we create a collaborative work environment that welcomes brainstorming and discussion. Sinek’s messages as he discussed proves to continually align with the gap community and the kind of company we are continually striving to be. Many years ago, gap intelligence was inspired by Sinek's book "Start With Why," leading the company to look internally and fully define who we are as a company, and why we exist. 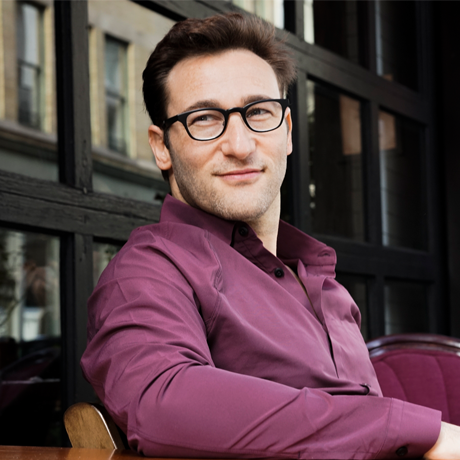 In his book, Sinek discusses why it is so important that organizations define why they do what they do: is it just for money, or is it make a dent in the universe? What purpose, cause, or belief inspires the organization to do what they do? At gap, our why is being a values-led company. We are passionate about data, each other and our community. Our why inspires gappers to continue to be the best that we can be, for our clients, each other and our community.